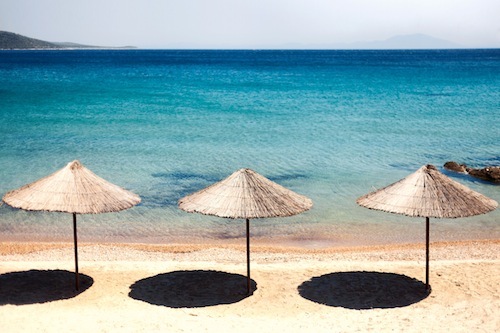 New for 2013, Kempinski Hotel Barbaros Bay, Turkey is now offering guests the most serene and sophisticated beach experience with the launch of the adult only silent beach. Guests can now lie back and daydream, as the only noise at the silent beach at Kempinski Hotel Barbaros Bay is the lap of waves onto the beach. On this idyllic stretch of sand, there’s no back ground music, no motor boats, no phone conversations, no children, just blissful peace and quiet and views of the bright blue Aegean. The stressful noises of everyday life are a hazy memory at the new silent beach at Kempinski Hotel Barbaros Bay. White sand, crystal clear water, comfortable sun-loungers and silence now await guests at this tranquil spot at this award winning well-being hotel. Call buttons have been attached to each umbrella so guests do not even need to escape their bubble of serenity to order refreshing cocktails or lunch. Therapists from the award winning spa are also on hand to provide al fresco spa treatments on the beach to help guests relax even further. At the end of the day, guests can retire to their spacious balcony for further interrupted peace and quiet. Located on its own private bay on the Aegean Coast of Turkey, Kempinski Hotel Barbaros Bay is the choice for travellers looking for sunshine, spa and luxurious surroundings. 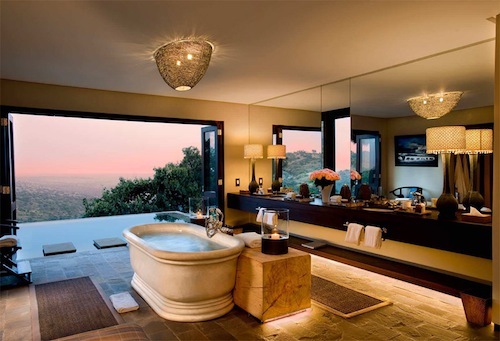 The property is made up of 24 suites and 149 rooms, each with their own view of the sea. Known for both its health and wellbeing facilities and luxury accommodation, the hotel is a stunning year-round retreat.